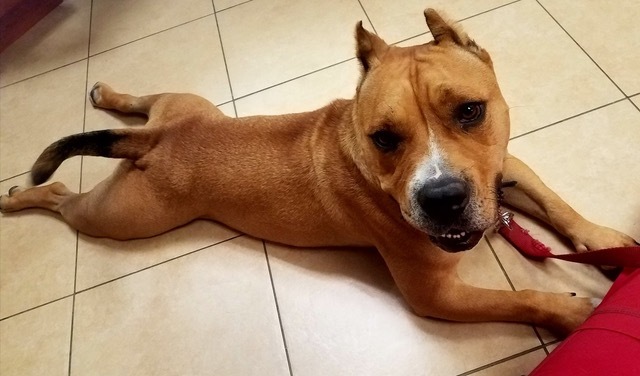 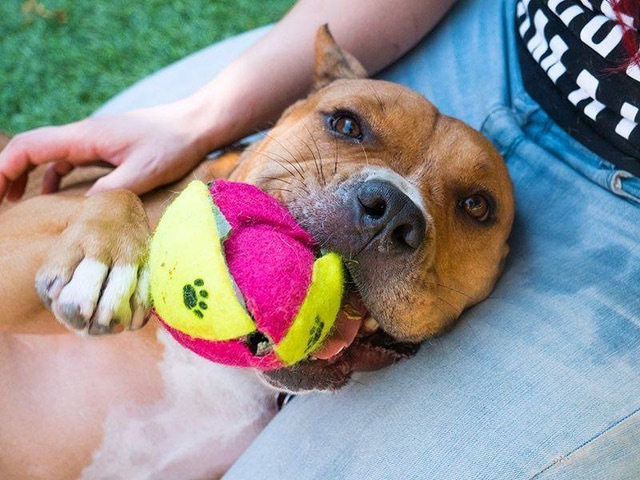 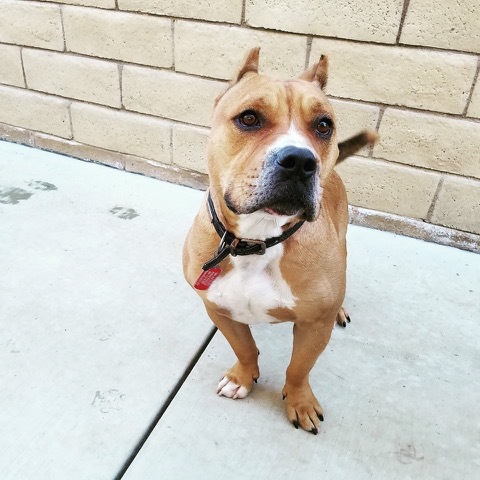 In the summer of 2016, a short, stalky pitbull mix named Meatball was surrendered to a Los Angeles County shelter by his owner. 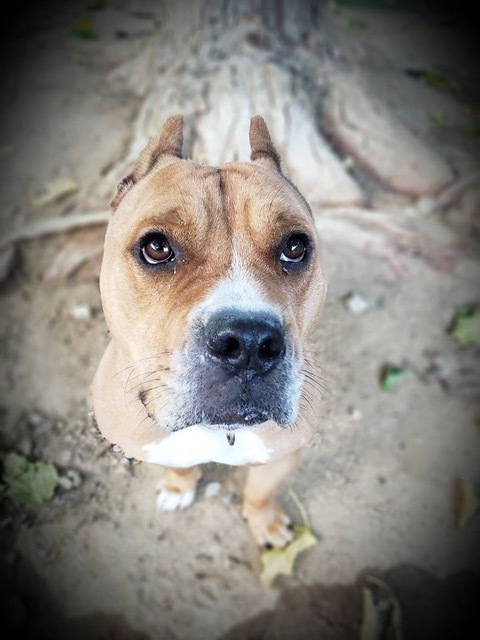 His ears were crudely cropped, but his tail wagged and his eyes shone with love and hope. 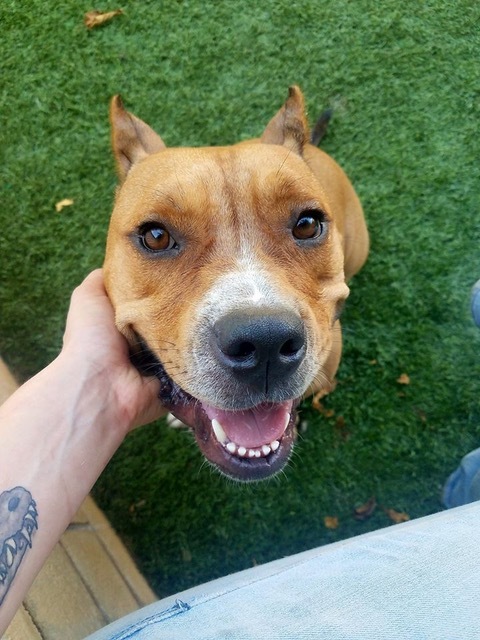 Just a few days later, a local rescue group spotted his potential and liberated him from the shelter. 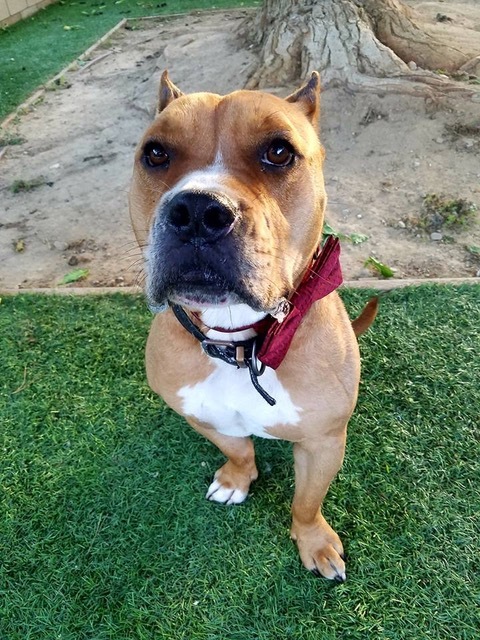 They did their best to find him a loving home, but one year after accepting him into their care, the organization shut down.